Clients change their hair colors for all sorts of reasons. Sometimes they take the plunge because they’ve decided plucking their greys is too taxing, they’ve gone through a life change, or simply because the weather is shifting. We live in a visual world where new hair colors are on display just as often as we drive by a Starbucks. In a world full of constant transformation it’s important to learn how to take your shades to the next level! 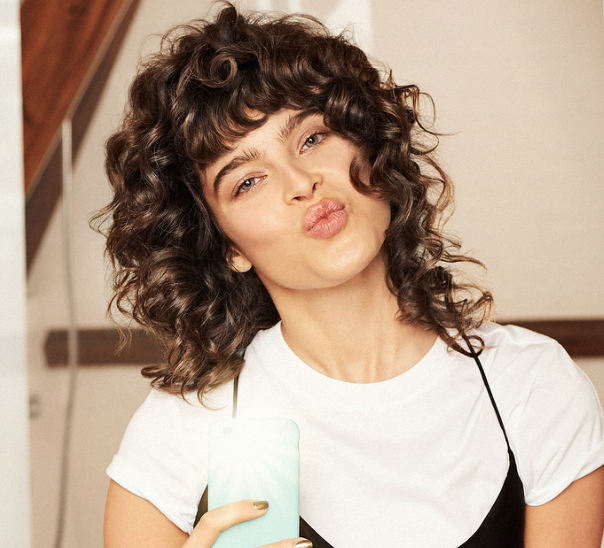 As season’s transform and new shades debut – whether on celebrities in editorials – it is not long before your clients come knocking on the salon door. To stay current and become trendsetters ourselves, we created Keune’s LTE – #ColorYourMood. We find it captures the essence of current movements in hair color. Because sometimes, clients need something besides their usual root touch up. Not sure where to start? Keep reading to see which shades are best for your clients depending on their base level! These shades are ideal for the client who is looking to excite their natural brunette shades or cover their greys. Proud Brown 5.1 UC – A light Ash Brown is optimal for grey coverage. It is recommended to use 6% Tinta Cream Developer and to process for 30-40 minutes, depending on coverage needed. Playful Pearl 6.28 – The pearl in this shade adds a luminous base that allows brunette shades to really shine through. Customized this shade to be warmer (by adding Tinta 4.15) or cooler (by adding Tinta 4.19) depending on your clients’ needs. Fierce Taupe 7.24 – Is your client craving a little depth? This medium pearl copper blonde adds a touch of neutral warmth to any shade. Fierce Taupe 7.24 (Tinta & Semi) The great thing about the Fierce Taupe is that is can be used either as a Tinta or a Semi-shade. Simply switch up the developer. Customize this shade with either a 3,6, or 9% Tinta Cream Developer (and process for 30 minutes) or mix with Semi Activator for 20 minutes of processing time. Dreamy Beige 10.81 – Who doesn’t love a dreamy beige? Best for level 10 and lighter, this ethereal shade is proving to be a fan favorite. Whether creating a sweeping upstyle or cascading waves, this barista blonde shows off depth in all the right ways! Pro tip: For a cooler beige, mix Dreamy Beige 10.81 with 1/3 Semi Color Silver! Flirty Pink – Time and time again, pink is proving to be a welcomed trend – especially as a way to mix up blonde clients! Remind clients looking for a way to mix it up that this light flush of color is a great semi-shade to brighten wardrobes just in time for fall. As with any color service, the post care is just as important as the steps it took to get there. After the color service is complete and pigments have developed properly, you’ll want to rinse the hair and stop the oxidation process. Incorporate Tinta After Color Shampoo to help with this. It contains natural citric acid, which soothes the cuticle and leaves hair soft and easy to manage. With a pH value of 4, the Tinta After Color Balsam stops the oxidation process and restores hair’s natural acid balance.